WorkSafe Products is now carrying the Rise tabletop sit/stand. This device provides a stable platform for working in a sitting or standing position. 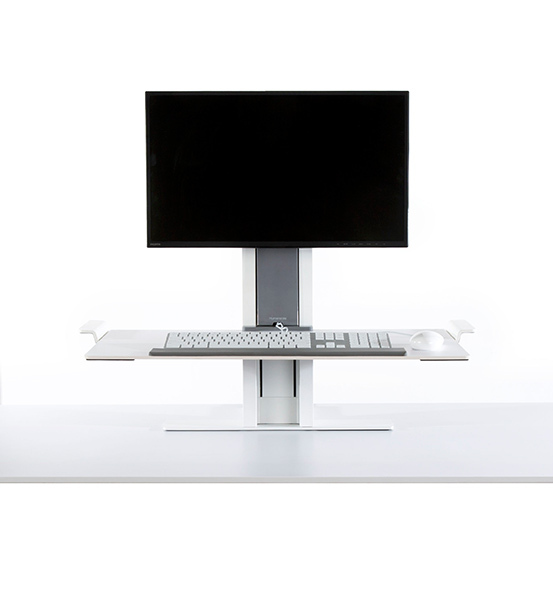 It is easy to adjust by simply lifting the keyboard platform to the desired height. Also, wire management is included to provide a nice clean office setting. This entry was posted in Uncategorized and tagged Humanscale, Rise, sit-stand. Bookmark the permalink.